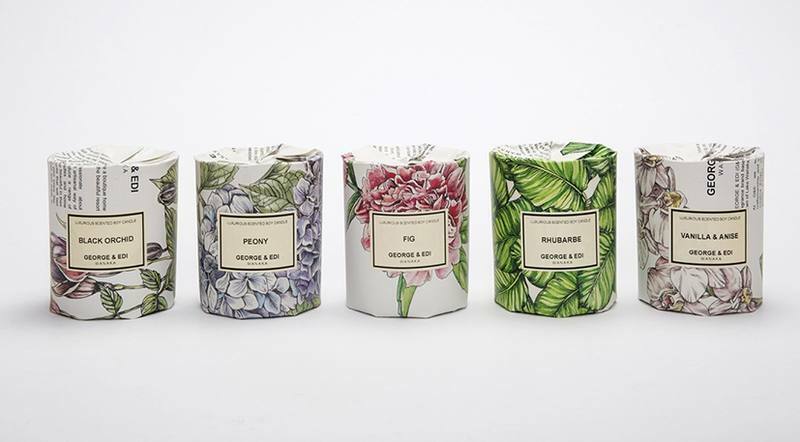 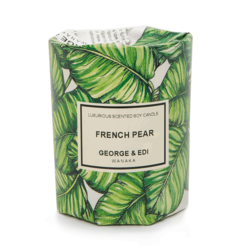 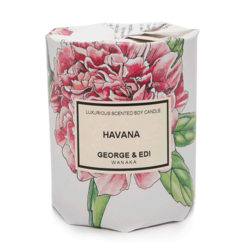 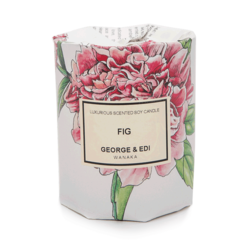 Beautifully wrapped George & Edi perfumed candle, made locally in Wanaka, New Zealand. 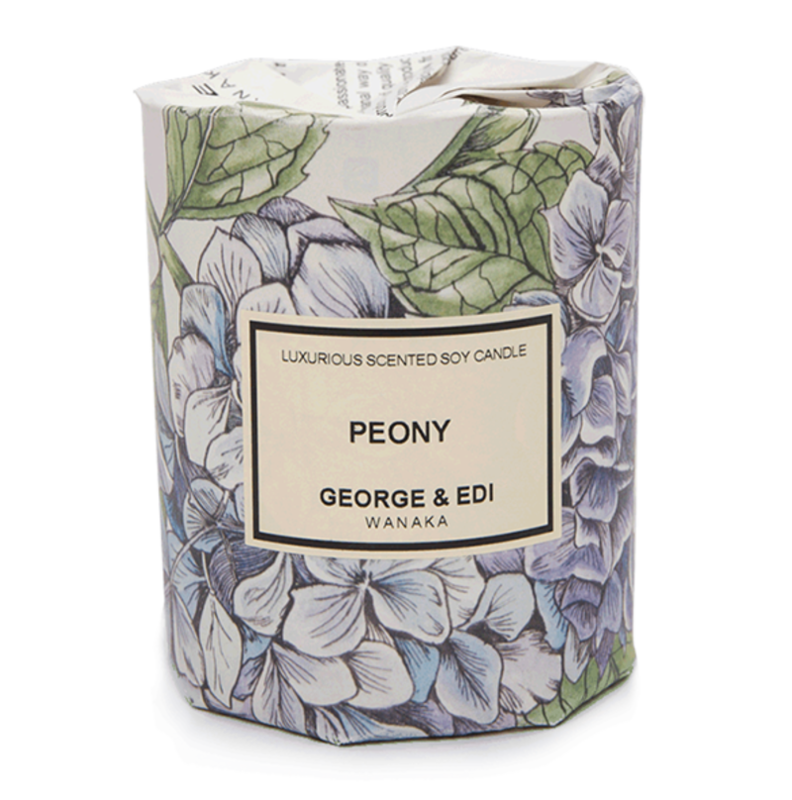 Hand crafted from natural soy wax and poured into a glass jar with a cotton braided wick. 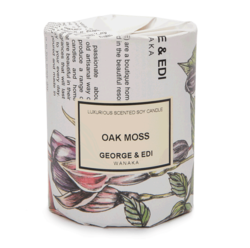 Specially wrapped in George & Edi's hand drawn botanical paper. 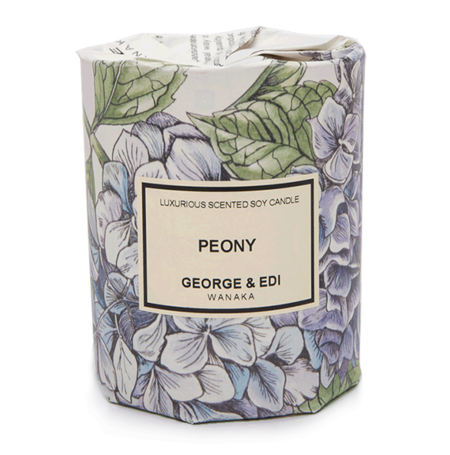 This candle smells of voluptuous peony blooms with sharp notes of blackcurrant in a balanced floral scent.